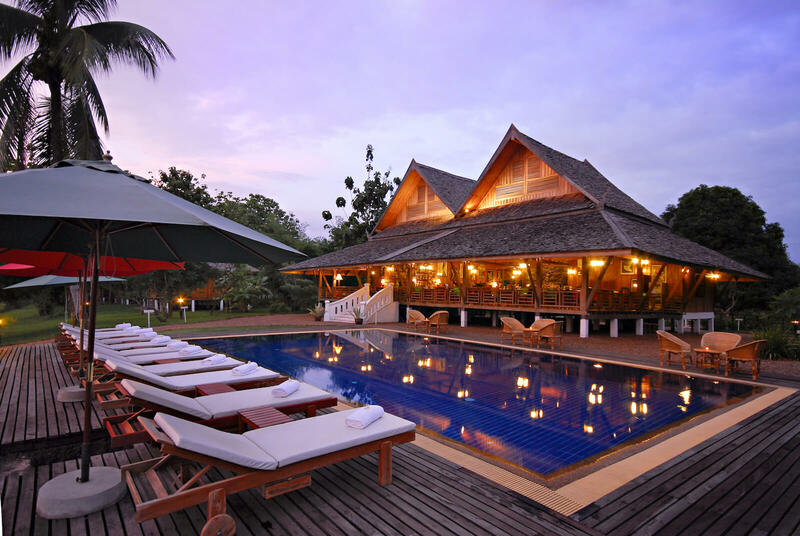 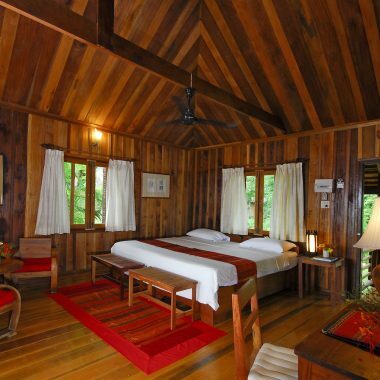 La Folie Lodge is located on Done Daeng, the “Red Island”. 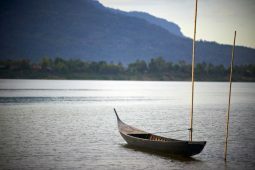 This charming car-free island, part of the Champasak cultural and natural heritage, sits along the Mekong River, on a beach facing the UNESCO World Heritage Site of the Vat Phu. 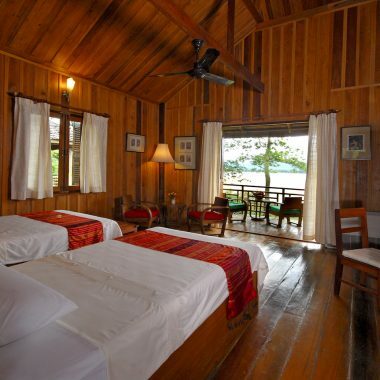 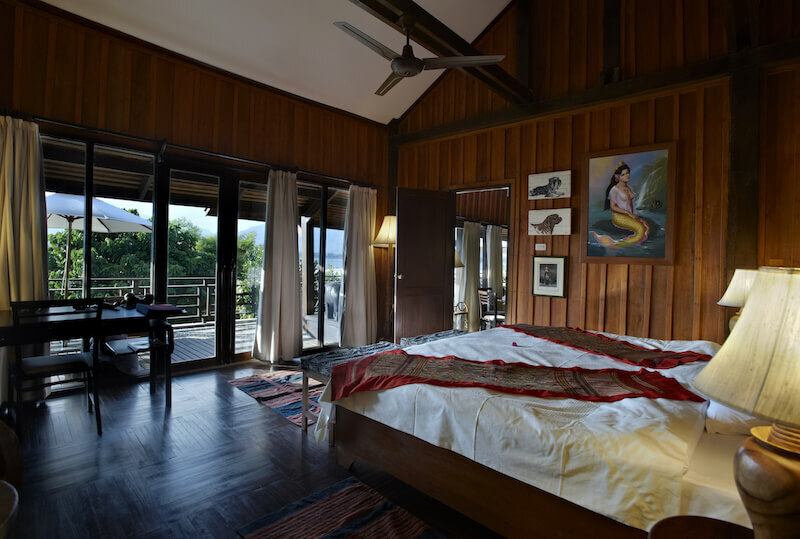 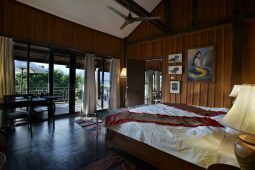 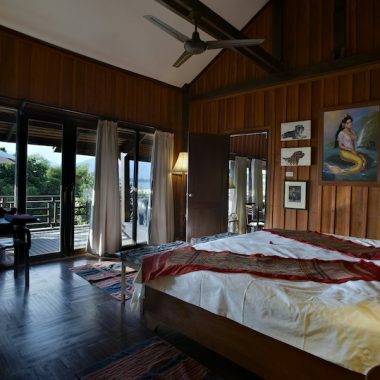 27 luxurious rooms are set in wooden bungalows, each with private balcony and magnificent views over the Mekong or the garden. 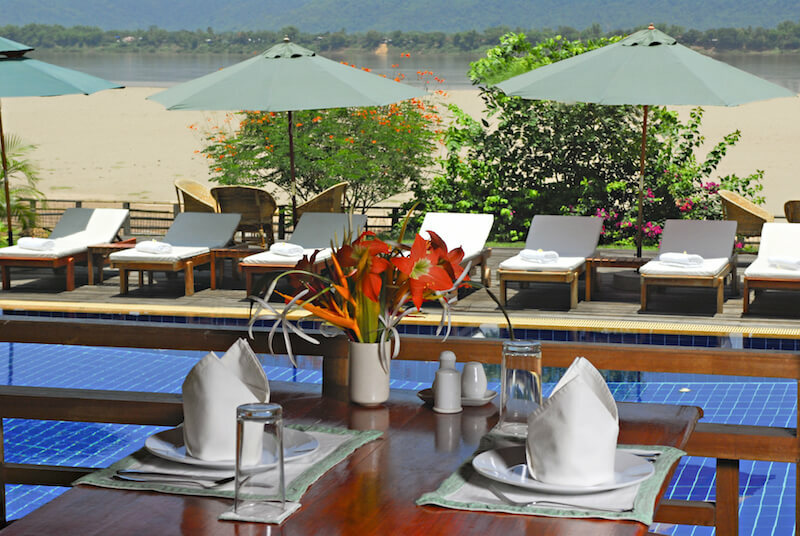 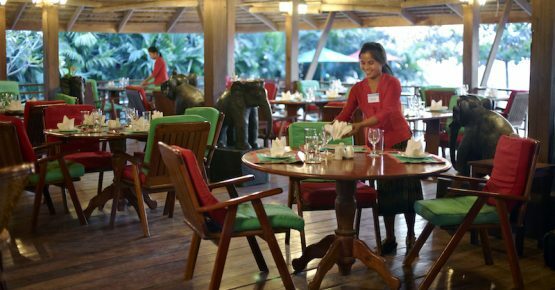 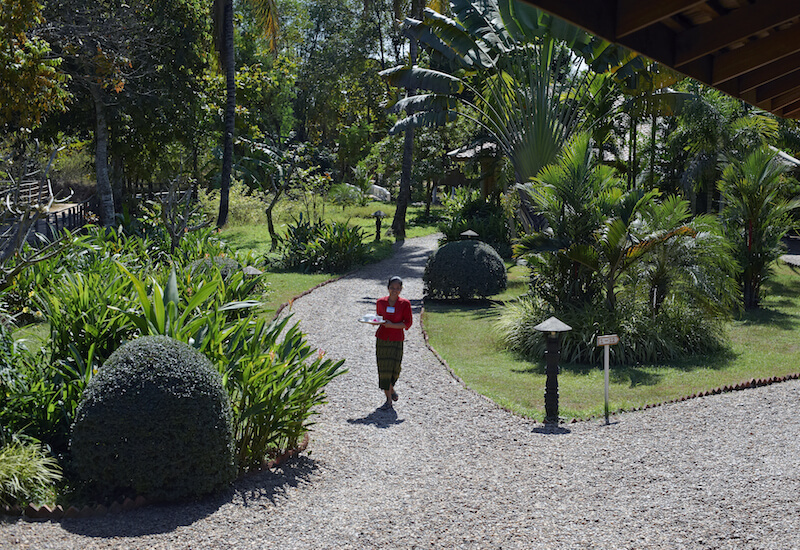 Come and enjoy the exceptional natural beauty and unspoilt charm of Southern Laos, together with first-class facilities and the legendary traditional Laotian hospitality. Choose between the 27 comfortable and luxuriously decorated bedrooms, exquisitely furnished with local materials. 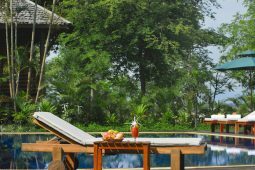 Relax by the pool with a freshly shaken cocktail, discover the tropical garden before enjoying authentic Lao or classic Western dishes at the restaurant. 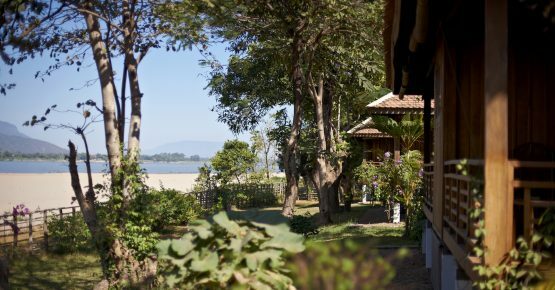 With an amazing view on the Mekong River and the Wat Phou mountains, it is the ideal spot to cool down after a day in the hot sun. 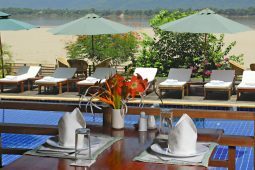 The poolside restaurant offers continental cuisine and Asian specialties, from early morning breakfast to late-night snacks. 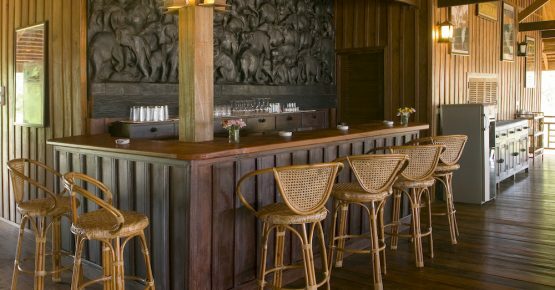 Cocktail aficionados will not be disappointed by our chief barman’s specials. 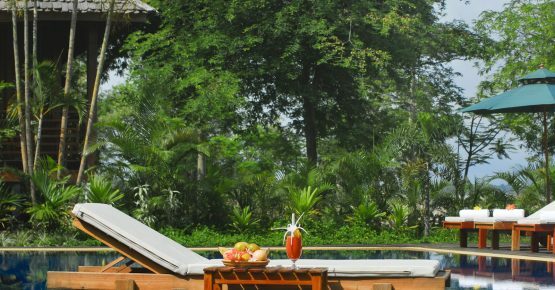 Tropical trees and flowers have found a shelter, as well as the 39 different species of birds. 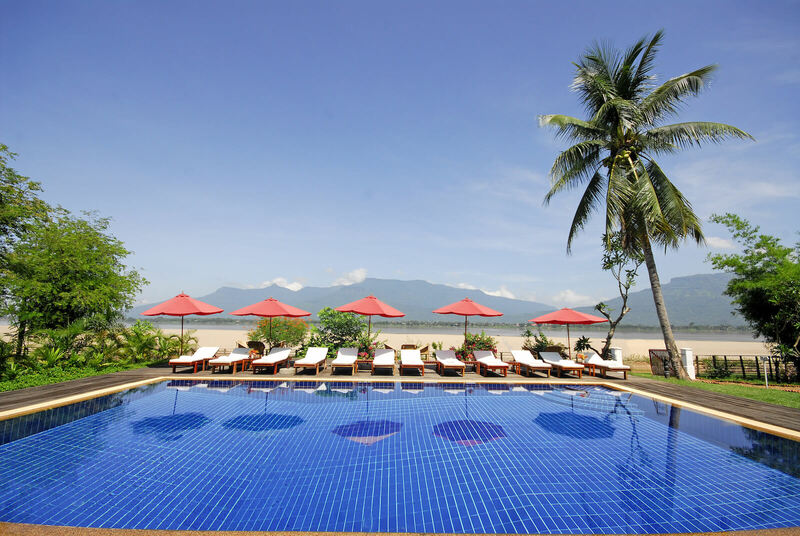 Enjoy the swimming pool at sunset, cycling around the lovely Done Daeng island, or meeting with the locals is only a glimpse of what the surroundings offer. 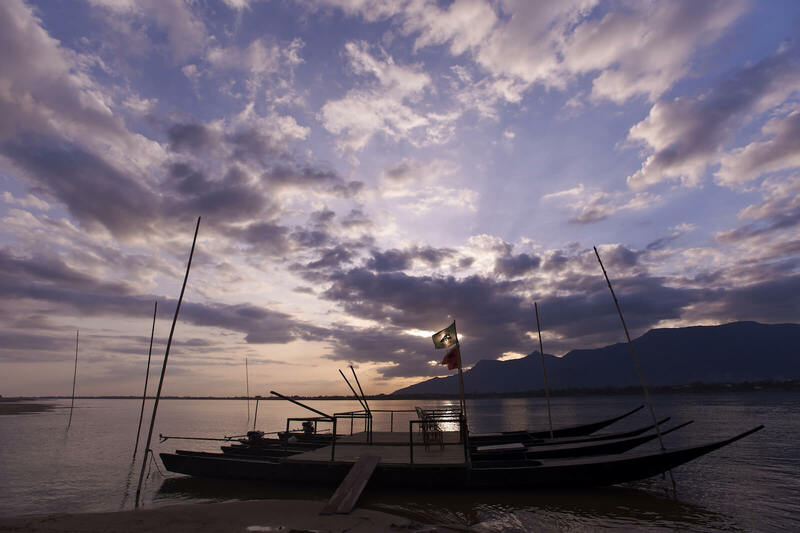 The Vat Phu, UNESCO World Heritage Site, is just a 15 minutes boat ride away and the Boloven Plateau as well as the 4,000 islands offer great excursions’ opportunities. Enjoy Don Daeng’s authenticity: unspoilt huge sand beaches crowded with fishermen and lazy buffaloes, wild forests and enchanting birds, plains of rice fields, local small villages with one floor typical wooden houses and numerous Buddhist temples, by foot or cycling. 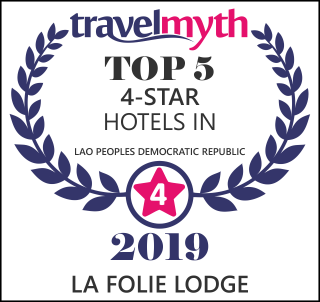 La Folie Lodge is the perfect spot to enjoy the best of Southern Laos, ranging from the What Phou temple to the 4,000 islands, or drinking a local coffee on the Bolaven Plateau after 18 holes on the Pakse golf course.